Ranked 2nd in Keller Williams in 2015 as a Top Performing Team, with high customer satisfaction. Platinum Award Winner for Keller Williams International 2013 and Ranked Top 10 in the Conejo Valley among local agents. Member of the National Association of REALTOR®, the California Association of REALTORS® and the Conejo Valley Association of REALTORS®. 15 years of marketing/management experience as VP of Marketing for Sega America and other senior positions at major retailers such as Mattel and Target. Life is full of changes. As it does, I want to be the Realtor® who can help you transition – from home to home. Whether you’re relocating to the Conejo Valley area, a first-time buyer or seller, interested in trading up or scaling down, I’ve been there and done that, so I understand if you planned to turn right when life says turn left, back up or forge ahead. No matter what direction you’re headed, you’ll always need a place to live and call home. That’s when you can call and count on me, and my team, to meet you at the crossroads. With the Lydia Gable Team, great service is easy to find. I’ve built a reputation for client satisfaction and appreciation. As a buyer you want to feel comfortable that your Realtor® of choice understands your lifestyle and your home style. As a seller you want to be confident that your home will be priced competitively, marketed professionally and sold timely. In either case, you will also appreciate my insider tips and tricks of the trade for the other things you haven’t thought of. At the end of the day (and in any market) you’ll want me to show you the money. My keen negotiation and business resolution skills will get you a price that leaves more in your pocket, whether you’re buying or selling, and keeps the process moving to save you time and money – especially when it comes to short sales and foreclosures. 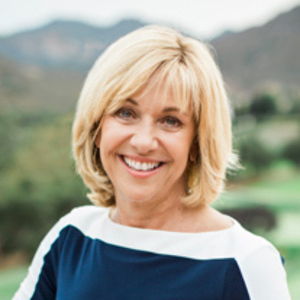 I live, work and play in the Conejo Valley, and specialize in Westlake Village and Agoura Hills real estate. I participate in local fundraisers, and keep in touch with the organizations, businesses, schools, community events, and also with this volatile market. If you want to keep up with what’s happening in real estate and around Conejo, subscribe to my updates. You’ll discover some great home and garden tips too! My goal has been to help buyers and sellers make good, informed real estate decisions. The number of repeat clients that seek my expertise measures my success, and the best compliment I can receive is from a client referral. I hope to one day receive one from you!